Newtown’s new signing of Sam Barnes speaks to the club’s media for the first time since the announcement on Tuesday. 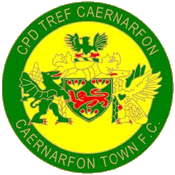 Earlier this week, Barnes became Newtown’s second signing in the January transfer window after departing Cymru Alliance side Bangor City. The defender’s first game for the Robins could happen this Saturday when we host Connah’s Quay at Latham Park (KO 2:30pm) in our first match of Phase Two in the JD Welsh Premier League. Fellow Welsh clubs were keen to get Barnes’ signature but it was Newtown that ticked all of the boxes. Barnes’ former clubs include the likes of Liverpool, Stockport County, Northwich Victoria and Marine. When asked what’s it like for a footballer to join a new group of players, Barnes expressed the warm welcoming he has had from his new team mates. “It’s hard at first as you go from being a vocal part of the dressing room at your previous club to the new guy,” said Barnes, “but to be fair Newtown have some good lads and they have all made sure that I get stuck in straight away and feel welcome.